We all have those days where we wake up unable to fathom how we're going to move through the day smoothly...let alone practice yoga. Starting the day feeling like a sack of potatoes can be challenging, but it happens to the best of us. Luckily we have Lazy-Day-Yoga! You can do it as you make your way through the day by simply turning your everyday tasks into yoga moves! Here are some examples of how you can do this. If you're having a day where it is hard committing to your practice, start in Savasana. Think of it like you're just taking another 5-minute snooze. You can even do this from bed before you get up in the morning! 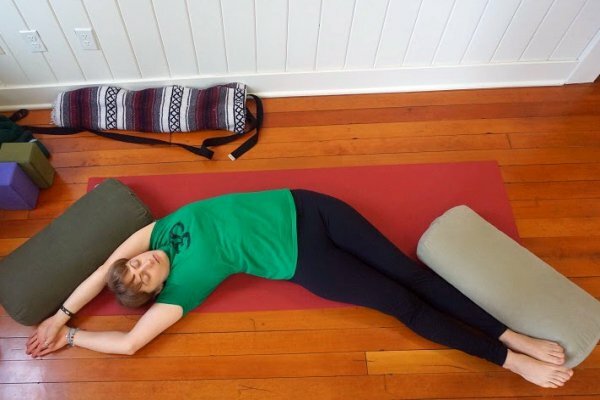 This Yin Yoga pose is made for yogis who feel lazy but want a good stretch. All you have to do is reach your arms up and over your head from Savasana, then pull your left wrist over to the right, crossing your left ankle over the right. You can do this one in bed too and it feels delicious! From bed, curl your legs onto one side, let your arms dangle to the other side allowing the weight of your shoulder to twist you open. Super scrummy and barely any energy involved! Still on your back, throw your legs up the nearest wall and feel the relief sweep through your body. No need to move...unless you'd like a little extra cushion under your tush. While walking simply start to take longer strides then usual. As you stride around the house pause with your front knee bent, if the feeling rises you could even lift your arms up and over your head. Take your time, it's not a race. Move with your breath. One foot in front of the other. When it's time to tie your shoe laces, take a long stride and bend the front knee deeply. As you bend forward to tie your shoe lace on the front foot, just hang out there in Humble Warrior with your shoulders inside your front knee. Take the last shape one step further when you finish tying those shoes, by placing both hands on the floor under your shoulders and pause in Lizard until you are ready to tie the other shoe! Got to pick something up from the floor? Great hang out there for a good long time in Rag Doll, dangling lazily from your hips and rocking side to side on bent knees. 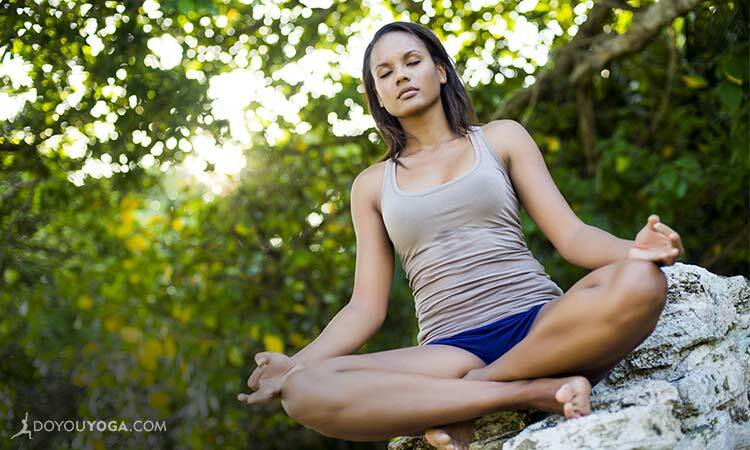 When you're feeling lazy and can't seem to budge, simply embrace that moment and sit breathing for a good 10 minutes. Bonus points if you listen to your breath and try to smooth it out. Sit up super tall let your arms come to your side. Ta-da. That's it, you're doing yoga! 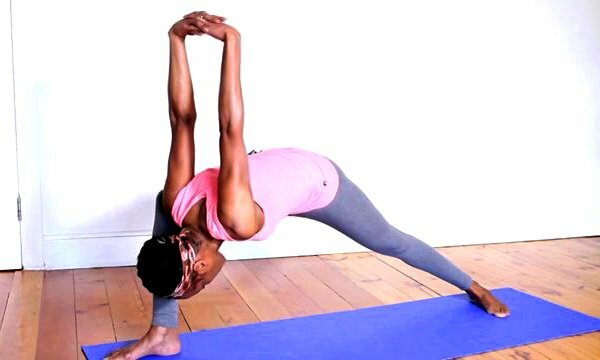 When you have been sitting in the car or at your desk for quite some time and you need to yawn, or feel the urge to stretch, squeeze your shoulder blades behind you and puff out your chest for a seated version of Fish Pose. There you have it folks! So see—even the laziest, don't-want-to-get-out-of-bed days can be yoga days. Try them out and let me know how it goes!